A new year is looming ahead, which comes with new challenges, even for the seasoned freelance designer. As you look back and celebrate the wins of 2017 – as you deservedly should – it’s time to think ahead to what’s in store for the new year as well! There seems to be a shift again in trends and technology that could present challenges (and opportunities!) for designers in 2018. Here’s a look at some of the curveballs that might come your way. And how to be ready for them when they do. It’s still a little early to know how popular virtual reality and three-dimensional design techniques will become. While they could stick in the land of gaming, more users could find themselves drawn to devices that render these effects well. Making the leap from designing something on a 2D, flat canvas to a more realistic interface can be a challenge. But you can start developing skills now that will help make the transition easier. Verse yourself more in simple animation. Thinking about how things move in the digital space will open your eyes to how to animate elements so that they look and feel more real. Get a device (and play with it) that uses the technology. If you’ve never used a Samsung Gear VR or the Google Cardboard, how will you fully understand how to make something for a user that does? Pay attention to trends. Watch sales of VR devices. Pay attention to other web designers and if their concepts have more 3D-style effects. Listen to what clients are saying; are more people asking you about these types of designs? The resume that just says “designer” is not as valuable as it used to be. Today’s designer also has to understand the basics of marketing and branding, search optimization and how to unify projects with a consistent voice and feel (even if they were done at different times by different people). Freelance designers, in particular, need to learn how to sell. The gig economy is growing and that means there is more competition in your market with people who do similar things (and even more likely those things fall into a similar pricing model). Make a resolution now to learn something new. Watch an online tutorial on how apply a new technique, find a friend who is well-versed in SEO to give you some pointers or pick up a book on how to exceed in sales (so you can convert more prospects into clients in 2018). Looking for a good book? Try this or this. Want to impress clients with that knowledge? Consider courses that end with professional certification. A certificate in SEO from a reputable organization is a little more impactful than just saying you understand how search works, particularly for a client that might know you in another professional capacity. Freelance designers put a lot of pressure on themselves to do more, more, more for a better bottom line. Just don’t let the freelance work take control of your life. Set boundaries between work time and personal time. Don’t be the person answering emails at the dinner table or taking Skype calls at 3 a.m. Even if you haven’t done it in the past, now is the time to set boundaries so that you can better balance work and personal time. You don’t have to create a 9 to 5 work schedule, but you should establish somewhat of a regular schedule and routine so that clients know when to reach you and so that other members of your household know when to stay away from your workspace. Using video in website and other digital design is not a passing fad. It is a big part of today’s design landscape. If you haven’t started to become fluent in how video works, how to plan for it in the design and how to counsel clients on video best practices, you need to get with the program. Start with video sizes, aspect ratios and compression so that when you use video, it’s formatted to render well. Be ready to talk to clients about where to find stock video and what a well-composed clip looks like. Learn some editing basics so that you can trim a clip or add an effect such as a color or text overlay. Juggling multiple projects comes with the freelance designer territory. As we all know, one of the biggest challenges of this professional choice is that work can ebb and flow. For many, that means taking every project that comes our way. Slow down and learn to better manage time and project loads. Piling up on projects at the same time will result in a lot of stress and can make it tough for you do complete any of the projects on schedule and at the level you want. Start 2018 with a workload plan. How many projects is it realistic to have at once? Do you work best when there’s 80 hours of work ahead of you or 20? The expanded freelance economy has resulted in another unintended consequence for designers: There’s a need to sell your services over all of the other options out there. This includes showing your value over discount and low-rate services. Thanks to build-it-yourself website templates and logo contests where users can see 100 logo options and just pay for one, potentials clients have a lot of choices. Your freelance design services likely won’t be the most affordable. That’s why it’s more important than ever that you learn to sell the value of what you do and what you can provide for a client. Every new year comes with a bit of anticipation and the thrill of the unknown. Start your freelance design year off on the right foot by thinking about some of the challenges that you are likely to see and think about how you can keep those things from being threats to your small business. The key to thwarting challenges is to be ready for them. 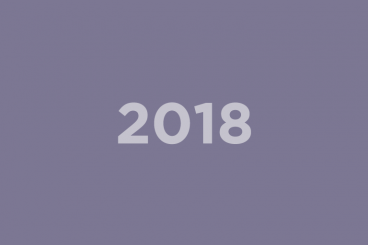 Almost every freelance designer will meet these issues head-on in 2018, prepare yourself now and they’ll be no big deal later in the year.